Special Teamz and La Coka Nostra member Slaine has released his latest solo album, The King Of Everything Else. 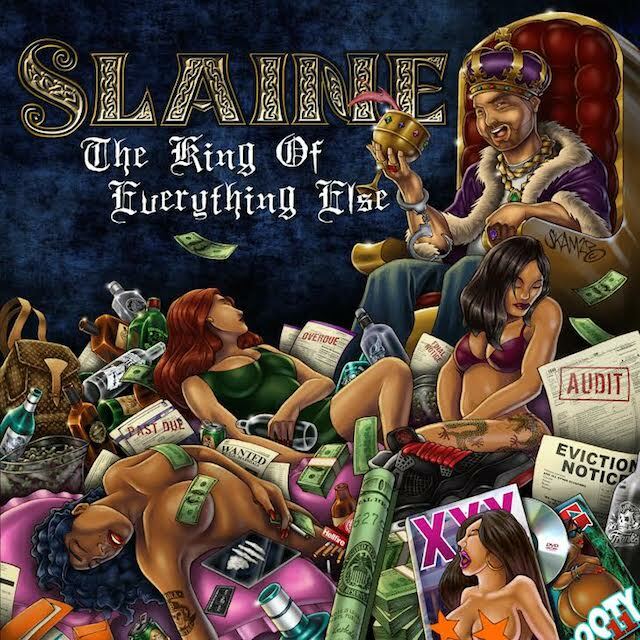 The project is a revealing and personal story of Slaine’s psyche and all the madness he has endured over the years. Artwork was designed by the legendary SKAM2. Most of the production is handled by by Louis Bell, with some placements from DJ Lethal, The Arcitype, and Statik Selektah. Guest features include Tech N9ne, Madchild, Rite Hook, Jaysaun, Apathy, Bishop Lamont, ILL BILL, Checkmark, Vinnie Paz, Regan Hartley, REKS, and Termanology. Purchase The King Of Everything Else here.